In the first part of the walkthrough, we learned some basic operations and hello world type programs to get the 900 LR board up and running. In this walkthrough, well be building on what we learned previously and moving on to more advanced topics like radio configuration and power management. 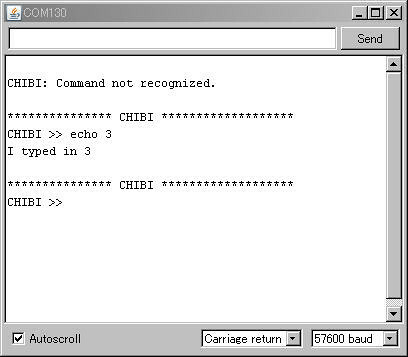 In the last section of the walkthrough, part 1, I introduced the cmdArduino command line library. It allows you to make sketches interactive from the serial terminal. 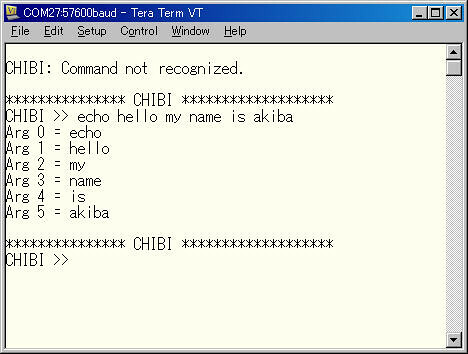 Now, lets expand on that a bit and add custom commands that we can call from the command line. Dont worry if its unintelligible. Heres an explanation of what happens. When you type in the command at the command line, you can also type in arguments, ie: setsaddr 3 would set the short address to the value of 3. The command line library parses the command setsaddr 3 into command line arguments, in this case 2 arguments. The first argument is always the command name, setsaddr and has an argument index of 0. The second argument is the ASCII value 3 and has an argument index of 1. The variable args is a string array which separates every string written on the command line by their spaces and stores them. The variable argCnt contains the total number of arguments typed in at the command line. In this function, we loop through all the arguments, print out their index number, and then print out the actual argument entered into the command line. We used argCnt to figure out how many arguments we need to print out, and then printed the argument directly from the array. We now need to link this function to a command on the command line. We do this in the setup() function. You can see that each string I wrote on the command line is chopped up and stored in the args array. We can now access all the arguments written on the command line and process them however we need to. // fill in the UART file descriptor with pointer to writer. // The uart is the standard output device STDOUT. The discussion of whats going on behind the scenes is a bit esoteric. Basically, you need to set up a buffer for the serial output (which is of type FILE). This is called a stream and you need to redirect serial output to that stream. When the printf() function is called, it will send the text data to that stream and will then call the function passed into the second argument of fdev_setup_stream(). For that function, we need to implement something that will print out a single character. There are many ways to do this, but we'll just do a simple Serial.write(). Thats it. After adding those three lines of code and the one function, you now have printf() capability. For the Freakduino 900 LR board, radio configuration is important. 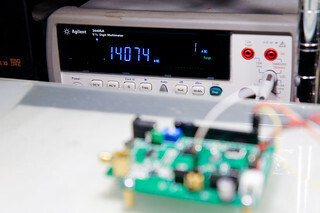 Understanding how to change basic functions of the radio will improve the functionality of the board immensely. Changing the channel is such a common operation that I implemented a function just to handle that. Each standard channel has a different center frequency. Its important to know which frequency to operate on based on your location. In North America, its possible to operate up to 1W in the 902 to 928 MHz bands for spread spectrum systems. In Europe, the regulations are slightly different. Its possible to operate up to 500 mW at 869.4 MHz at a 10% duty cycle or using Listen Before Talk. This means that the radio needs to be configured for 869.4 MHz which is not in the standard channel set. For further information on the topic of setting the frequencies, especially to nonstandard frequencies, you should check the Atmel AT86RF212 datasheet, section 7.8, Frequency Synthesizer Section. 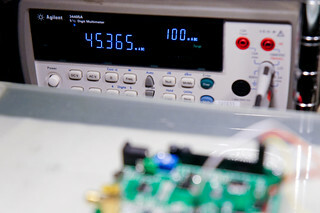 One of the main things people are interested in for wireless sensor applications is range. 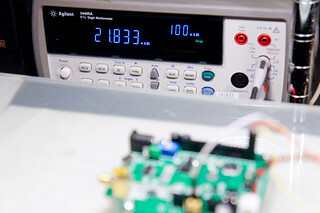 For WSN, we rarely care about high data rates but range is usually important The AT86RF212 radio on the 900 LR board supports two different types of modulation: OQPSK and BPSK. Without getting into too many details regarding digital modulation, OQPSK is a more complex modulation but allows higher data rates, up to 1 Mbps. The default modulation is OQPSK at 250 kbps which is standardized by IEEE 802.15.4-2006. For the descriptions of the other modulations, its best to consult the AT86RF212 datasheet, section 7.1, Physical Layer Modes. The default is CHB_RATE_250KBPS and its possible to go up to 1000 Kbps. This may be useful for some applications that require high data rates like audio or media transmission, or high resolution transmissions such as seismic data. Power management is probably one of the most important aspects of wireless sensor networks, especially for environmental monitoring. The assumption is that the device will be completely wireless and hence autonomous. Theres even a special name for this called resource constrained networks. The Freakduino 900 LR has been designed for low power operation and can get down to around 180 uA at the battery in sleep mode. At these levels its possible to survive over a year on 2 standard AA batteries. A fairly standard power management strategy would be to keep the device asleep as long as possible, wake up at pre-determined intervals to measure data, transmit the data, and then go back to sleep. Putting the board to sleep is a sequential process. In active mode, the board consumes about 140 mA in high gain mode where the Rx amplifier is enabled or 45 mA if the Rx amplfier is not enabled. Before you begin, please check to make sure you have at least v1.04 of the chibiArduino library. There were some modifications to the code to make it easier to shut down the radio. To reduce power, one of the first things that needs to be done is to put the radio to sleep. This is easily done using the following function. Passing in an argument of 1 or true will put the radio to sleep. Passing in a value of 0 or false will wake the radio back up and put it into operational mode. Once the radio is put to sleep, the SPI pins and radio control pins need to be set low and forced to inputs. To do this, were going to take a shortcut and manipulate the MCUs control registers directly. In practice, its best to save off these values so they can be restored when the device wakes back up. Once again, it's good practice to save off the register values in a variable before clearing them. When the MCU goes through the wakeup process, it will be much easier to restore them to their active state. The final steps are to put the MCU into power down mode which is the lowest power sleep mode available. Once this is done, the MCU will not be accessible until it is woken up. 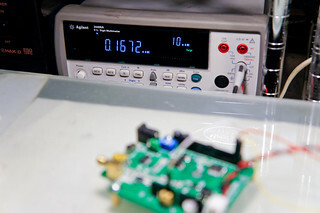 Once the board is fully shut down, the power consumption can drop below 180 uA. At this point, the main power consumers are the boost converters (2 x ~60 uA) and the quiescent current of the voltage regulator (~60 uA). The only way to wake the MCU up is from a reset, an external interrupt, watchdog timeout, or an I2C access. Care should be taken when thinking about the power management strategy to figure out how the MCU will be woken up. Thats it for this walkthrough. We went through some fairly advanced topics in embedded design and sensor networks. I hope you found it interesting and useful and if you havent already, please check out the freakduino series of boards available in the shop . As you can see, theyre quite versatile, especially for wireless communications and wireless sensor networks.